The Chairman for the meeting appealed for volunteers to organise future Member’s Observing Sessions after this month. For this month we will include a waxing, crescent moon hopefully before our Public Moon Watch on Saturday 16th February. Until Sunday 24th February the Museum of the Moon comes to Preston with an exhibition and events. Saturn’s rings are suspected of being a relatively recent phenomenon. The Hayabusa 2 landing on Ryugu was delayed last month. The Nasa Insight lander begins a two-year mission to monitor any seismic activity on Mars. 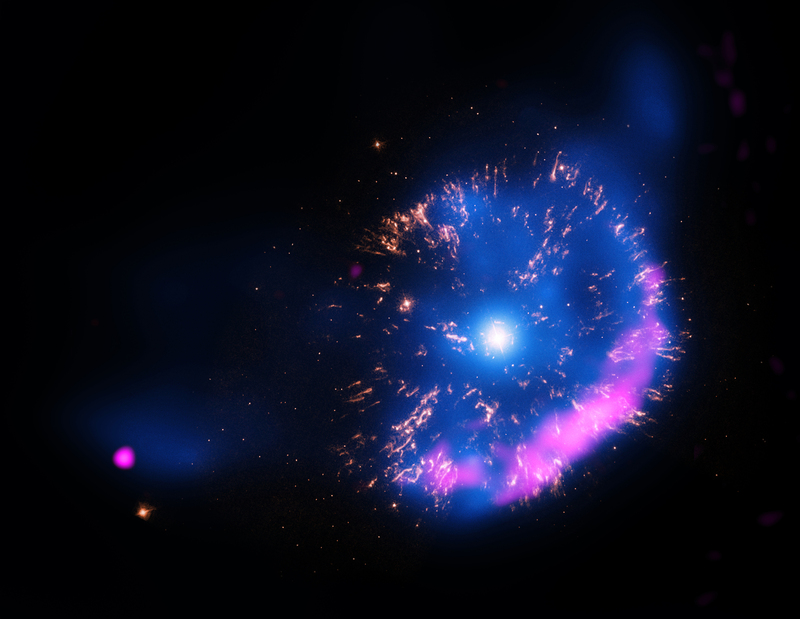 A Nova explosion owes its name to what was once considered a ‘New Star’. Nothing could be further from the truth. Observed novae involve closely located binary stars one of which is a White Dwarf. A white dwarf is the remnant dense core of a star at the end of its life. No nuclear processes are occurring and the star is steadily cooling. The white dwarf draws hydrogen from the nearby companion main sequence giant star which covers its surface. 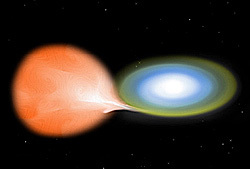 If the hydrogen gets hot and dense enough, nuclear fusion occurs on this surface and the white dwarf star brightens, a ‘Nova’ explosion, until most of the hydrogen is used up and the star dims and the process starts again… If the White Dwarf gains mass to exceed 1.4 solar masses, a supernova is possible – although the exact mechanism for this is still unclear and is thought to only occur with carbon-oxygen white dwarfs and not carbon-neon white dwarfs. Research is still ongoing into this fascinating subject. Visible light is suddenly emitted in a characteristic, exponentially decreasing light curve. The known curve allows time of initiation and then the absolute magnitude of the Nova to be determined and thus the distance from any apparent magnitude that was caught on an observation. Not only visible light is suddenly emitted but also x-rays that do not penetrate the ejected shell of unburnt hydrogen until the shell density drops to a known level that allows the size of the shell to be determined. Unlike Supernovae, Novae both leave behind a remnant that may last for centuries and the ejected shells fall back onto the remnant. The whole process may subsequently repeat many times in known Recurrent Novae. 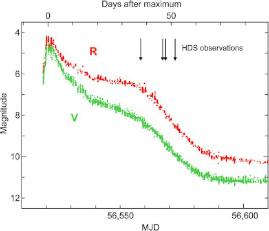 A number of Recurrent Novae have been discovered by inspection of archived observations. With the current telescopic ranges, all observed novae occur either in our own Milky Way or our companion and satellite galaxies – such as The Andromeda Galaxy and the Magellanic Clouds. Detection is difficult in the Milky Way because of obscuring dust along the plane of the galactic disc. Around 40 new Novae/year are discovered in the Milky Way – a number still being discovered by Amateur Astronomers.